A negative experience can make or break; it can also open doors to wonderful opportunities. 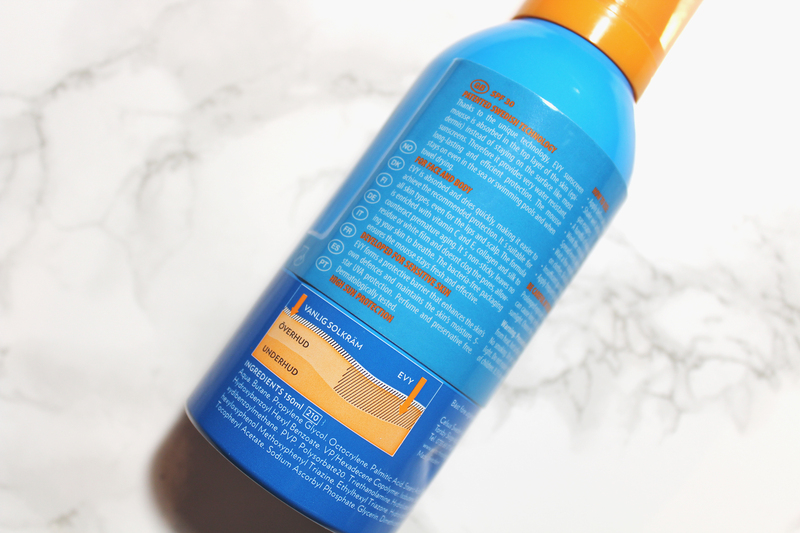 After sharing (via Instagram) my negative experience with SunSense SPF50 Sport Gel, I was approached by Evy Technology and offered the opportunity to try a better alternative, Evy Technology SPF 30 Sunscreen Mousse (150ml). I am glad I accepted the opportunity, as Evy Technology SPF 30 Sunscreen Mousse is phenomenal! Where do I begin? I will start with the only con, which is the scent. According to Evy Technology, this product is “perfume and preservative free”. However, I can smell something far from natural. This may sound bizarre but I believe it is the aerosol can as the scent I perceived is similar to the scent of most products packaged in the same manner. Although there is a scent, it is tolerable. 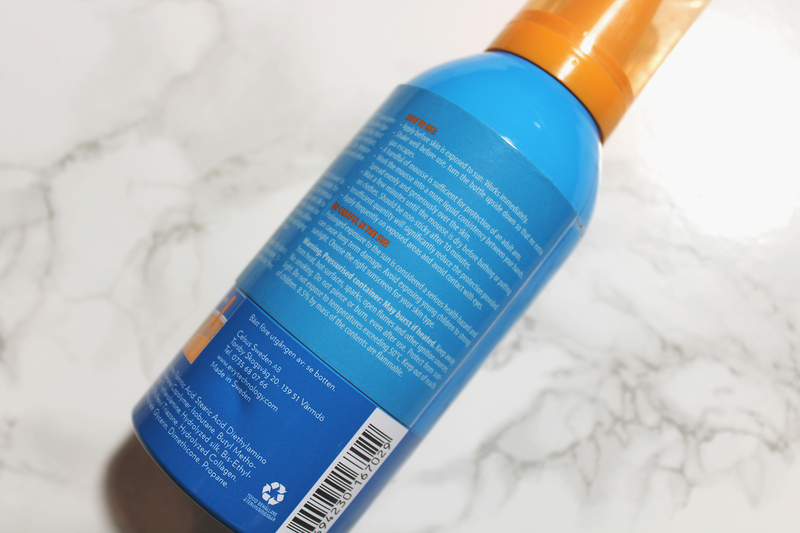 Scent aside, Evy Technology SPF 30 Sunscreen Mousse is the best sunscreen I have used so far. It is appropriately named, as its consistency is similar to a mousse; it is dense but light. So, is it dark skin-friendly? In regard to the infamous white cast often left by sunscreens, it was nowhere to be seen. Yes, you read right! 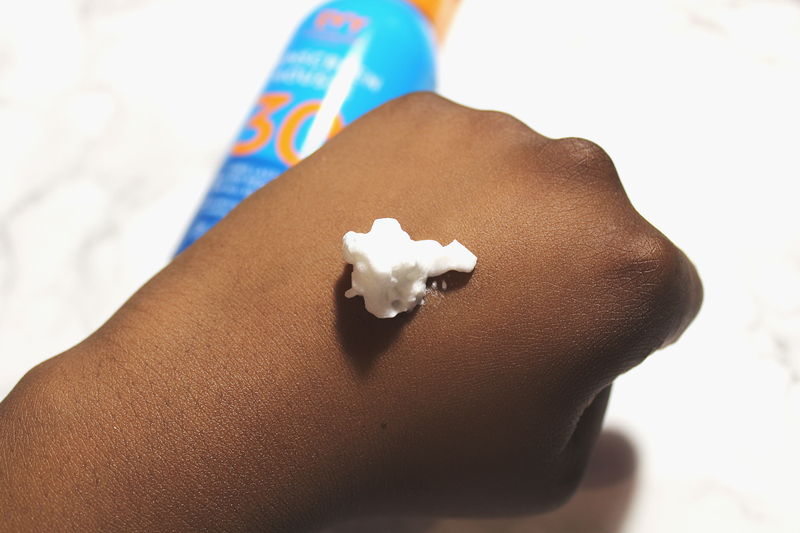 You can slather your gorgeous dark skin in Evy Technology SPF 30 Sunscreen Mousse; you have my word! You also don’t have to worry about the formula clashing with your foundation or any other substance that may come in contact with your skin. I applied Evy Technology SPF 30 Sunscreen Mousse to my relatively oily face and it made no visible difference. 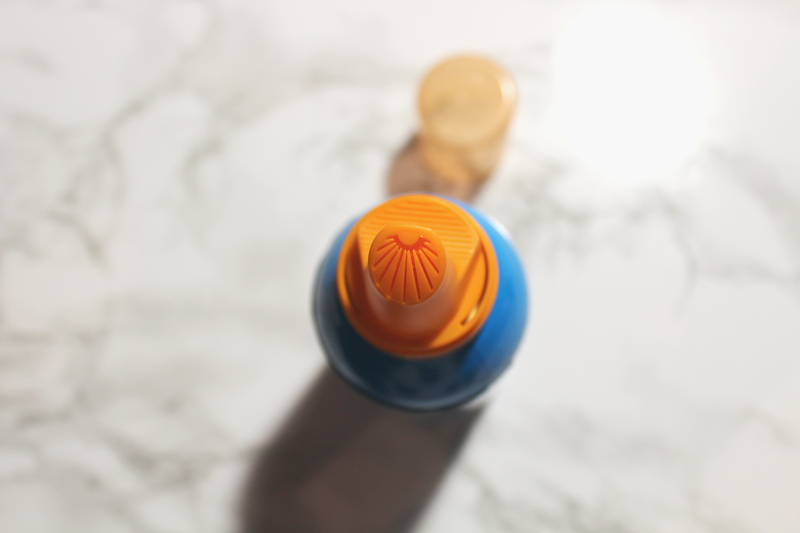 I am quite pleased, as most sunscreens are often too heavy and oily for my face. 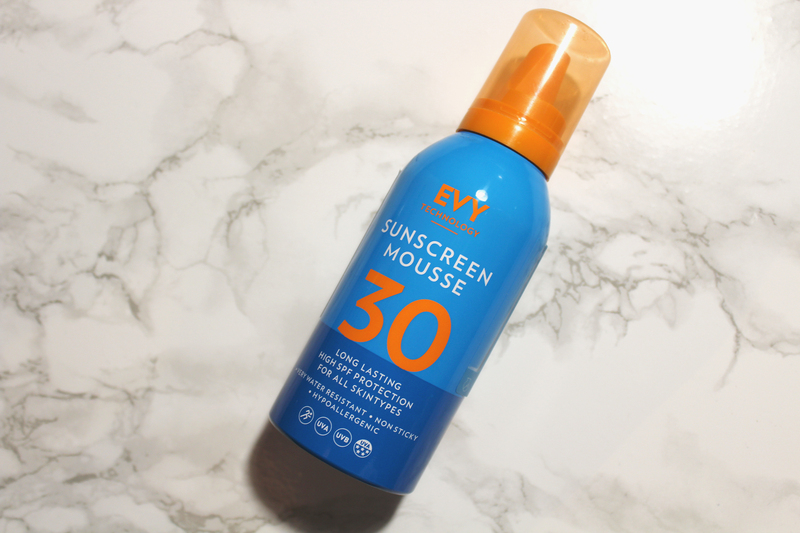 Whilst Evy Technology SPF 30 Sunscreen Mousse made no difference to the appearance of my skin, I did notice a slightly annoying feature. Once applied to your skin, you have to let the product absorb and “dry” for a few minutes, as it will be a little sticky. 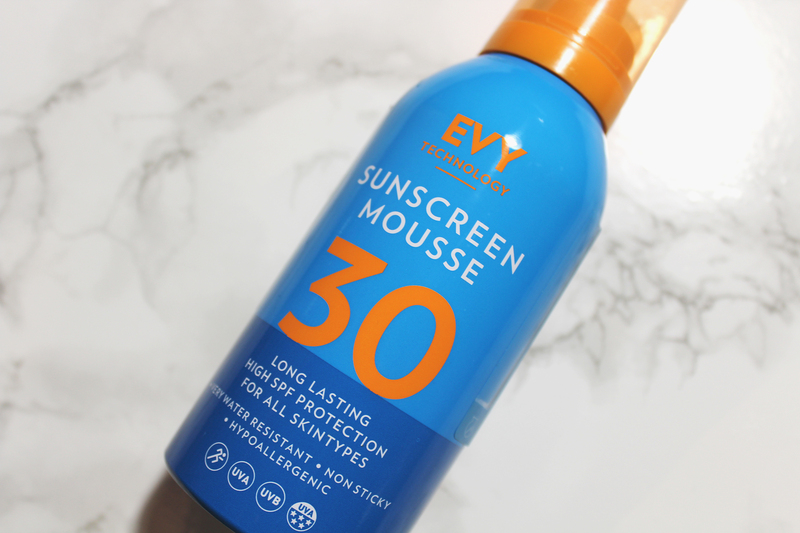 Don’t let this put you off as Evy Technology SPF 30 Sunscreen Mousse can be used all over your body as well as your face; it can also be used on your “lips and scalp”. 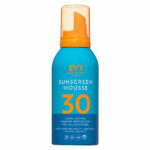 Overall, Evy Technology SPF 30 Sunscreen Mousse is brilliant! I am incredibly impressed as well as grateful for the opportunity I was given to try this genius sunscreen by Evy Technology. I will most definitely purchase more in the future and I recommend you do so too!